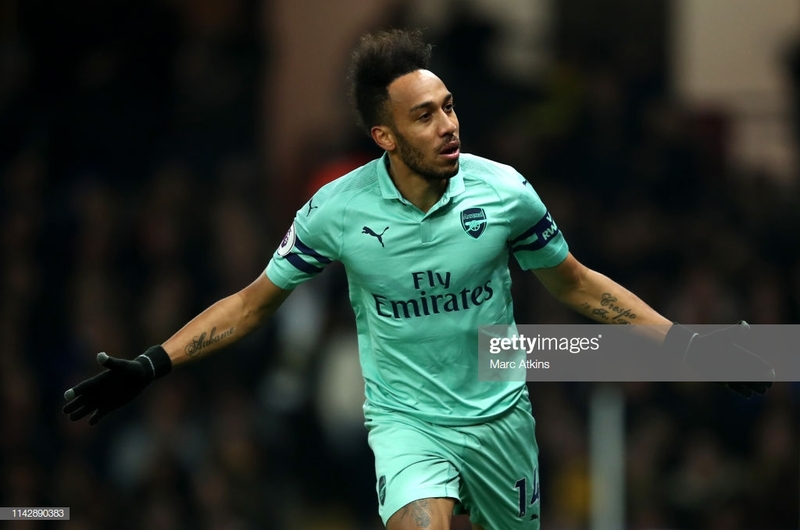 A strike from Pierre-Emerick Aubameyang early in the first half was enough to give Arsenal victory over Watford at Vicarage Road. The Hornets though had to play almost 80 minutes with ten men, as their captain Troy Deeney was shown a straight red for an elbow on Lucas Torreira. The home side started the game on top and were causing Arsenal to make a few mistakes early on. The first chance of the game did come for the host as Will Hughes had a snapshot inside the Arsenal box but it went well wide of the goal. Arsenal did grab the first goal of the game, rather fortunately through Aubameyang. Ben Foster was closed down quickly by the Gabonese forward and his clearance was blocked and went in. Just minutes later, things got worse for Watford as their captain Deeney was shown a straight red for an apparent elbow on Torreira. Arsenal almost made it two, when Alex Iwobi burst down the left and cut it back to Aubameyang whose effort deflected narrowly behind and the resulting corner was cleared away. The Hornets almost equalised in the 19th minute through Craig Cathcart. A great free-kick routine ended with the ball at Cathcart’s feet whose venomous volley was well saved by Bernd Leno. Iwobi had a chance of his own after 25 minutes. He darted into the box and let off a shot which was blocked and his follow up produced a fantastic save from Foster. Watford again came close to equalising, 15 minutes before the break. Etienne Capoue had a free-kick just outside the box and the shot produced an incredible save from Leno to keep it out. Watford continued to apply pressure to the Arsenal backline but struggled to create any meaningful chances for the remainder of the first half. The second half started in a very scrappy fashion with neither side able to carve out any real chances barring a cross from Iwobi which almost crept in at the far post. It was almost 2-0 in the 56th minute. There was an overload on the Hornet's defence when Iwobi burst down the left, he was to brilliantly pick out Henrikh Mkhitaryan at the back post but Foster came out superbly to make the save. Mkhitaryan then had another chance just minute later, but his snapshot went really far wide. Andre Gray became more and more isolated as the game wore on, but even when he got on the ball his touch was letting him down. Watford almost scored an absolute screamer of an equaliser just after the hour mark. The ball rolled out to Adam Masina about 25/30 yards from goal and he let off a rocket of a shot which clipped the crossbar and went behind. There was not a huge amount of chances created in the closing stages of the game as both defences were very solid in preventing the attackers taking shots at goal. Watford could have been level but for some incredible defending by substitute Ainsley Maitland-Niles. The ball was flicked on and Gray picked it up and rounded Leno, only for Maitland-Niles to get back and block Gray's effort. Hughes had another chance when the ball was whipped in from the right-hand side but the midfielder's header went over the bar. Aubameyang did have a chance to grab a second in the dying embers of the game. The striker was played in by Iwobi but the Gabon international's effort hit the side netting. This was not a vintage Gunners performance by any means but they got the job done. They may have had a slice of good fortune in their goal but they did create a number of chances and were unlucky not to get another. 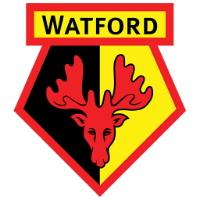 Saying that the ten men of Watford did run the Gunners close at times and could quite easily have taken a point away from this game. This game was also Arsenal's first clean sheet on the road in the Premier League this season. This result lifts Arsenal back into 4th in the table and only one point, behind North London rivals Tottenham. They also have a game in hand on Chelsea who sit in 5th, who are on the same points as the Gunners. 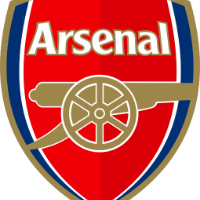 Arsenal will look to go above Spurs at the weekend, as Spurs take on title-chasing Manchester City at the Etihad Stadium, whilst the Gunners have Crystal Palace at home. Sandwiched between today's game and Sunday is a tricky trip to Naples to face Napoli in the Europa League Quarter-Finals 2nd leg. Could Fatigue play a factor on Sunday? Despite having 10 men for the majority of the game, Watford did create enough chances to get something from this game. The man at the centre of all this play was Doucoure. Doucoure was superb in creating the transition from defence to attack, constantly winning back possession and then creating space to bring others into the game. The Frenchman has already said that he would like to play Champions League football sooner rather than later in his career, so could we see a big top six club come in for the midfielder in the summer, it remains to be seen. Given the praise that has been heaped on Doucoure in this game, you'd be forgiven to think he was the man of the match but not this time. his time the man of the match award goes to wide man Alex Iwobi. The Nigerian international was a constant thorn in Daryl Janmaat throughout the entirety of the 90 minutes. He set up his teammates on a number of occasions and even had a few shots at goal himself. He always created space for himself on the left-hand side and was always in the right place when a cross was overhit or a defensive block came his way.